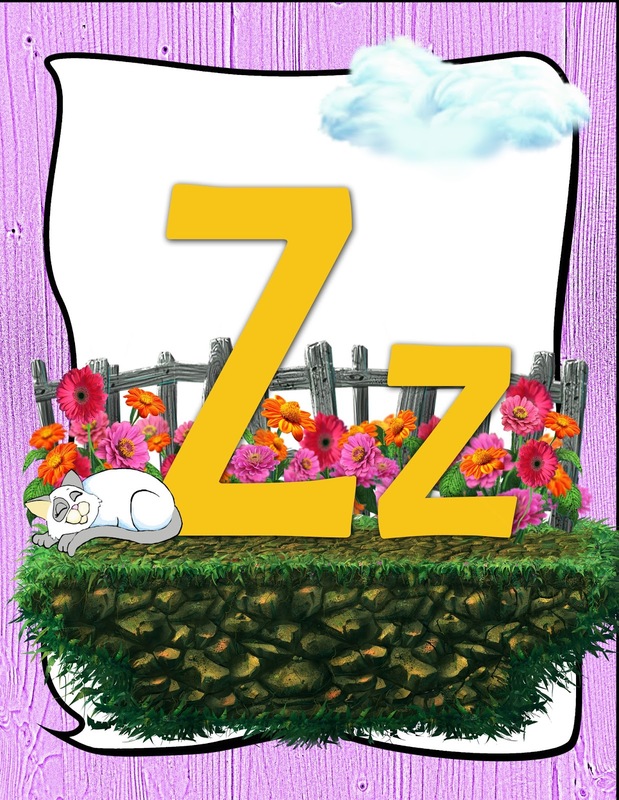 Zazzle-Dazzle, we have a letter Z letter of the Week packet here. 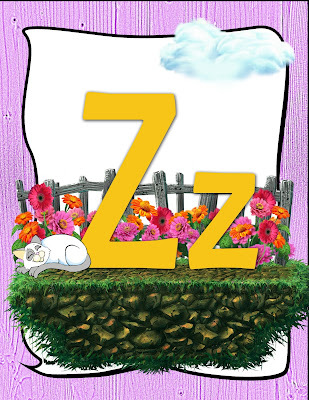 Let's talk about this fun letter Z. We begin our letter of the week with introducing the letter along with a snoozing Glimmercat. Notice, she is surrounded by zinnias. 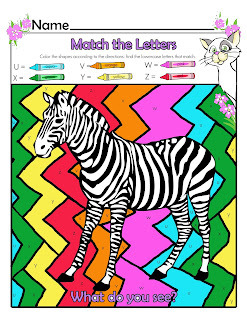 The old standby for Letter Z is usually the Zebra, and we definitely have our Z is for Zebra Day, including a Zebra "Matching the Letters" practice sheet. These pages are such good review for connecting the capital and lowercase letters. 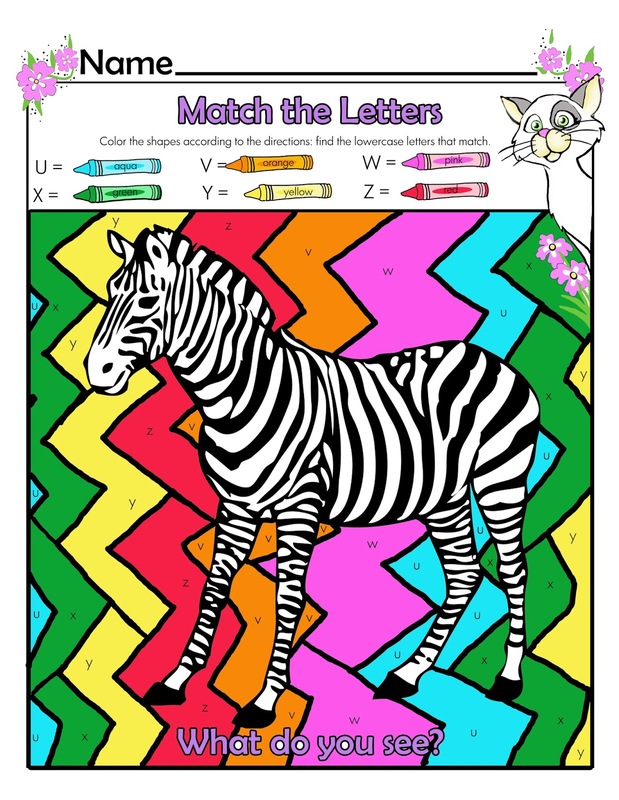 But in our packet, we have this interesting craft, that involves putting the stripes on a Zebra in a unique way, rather than gluing or painting them on. And it was fun! First, I cut out the zebras and the rectangles for the kids. There are so many little tiny details on the zebra form, that it was better to not over-stress them by having them attempt this. Next, I put just a touch of glue-stick on the back of the zebra and glued him temporarily inside of an empty salad box. (On the craft page, I suggest using a cardboard box, and that would work too, but this was helpful for us to use, since you could watch your zebra stripes appear. 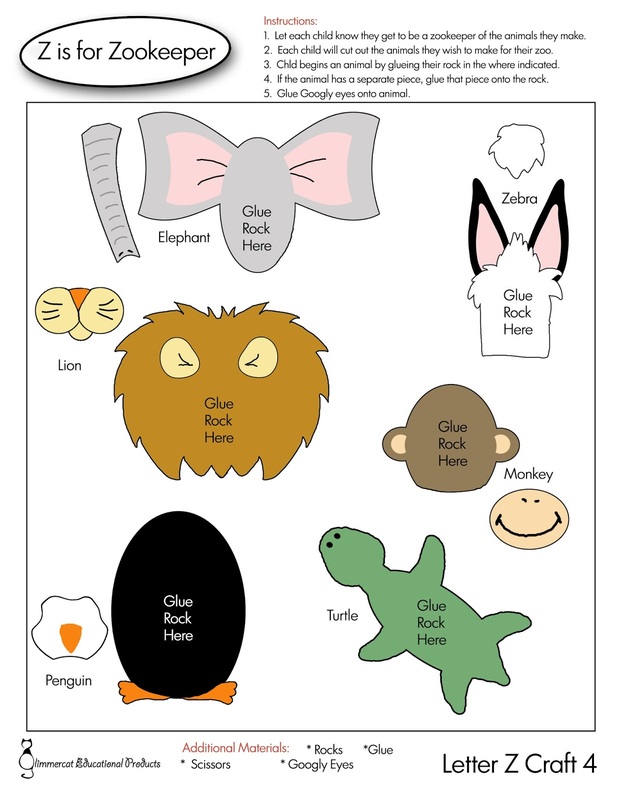 You can see, we have also added a line of black paint inside the box, near the zebra and there is a toy ball inside, too. (The toy ball didn't work as well as we were hoping, so we upgraded to a marble to get it to roll well). Then the fun began. My son shook that box and he twisted and turned it, and as the marble rolled through the black paint, stripes magically appeared on the zebra. What fun we had! The pictures are a little fuzzy because as you can tell, there was much shaking and jostling involved with this project. And it turned out great! 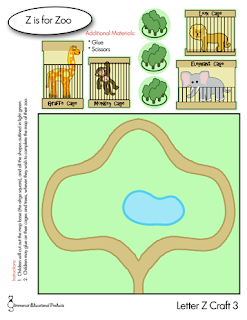 After Zebras, one of the next letter Z favorites is Zoo. We created several activities for Zoo. 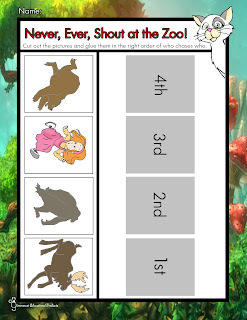 For our reading literacy activity, we chose the book, "Never Ever Shout at the Zoo". And for our activity, the kids will need to use ordinal number understanding to put everything in order. For our last craft, we chose to do something with zinnias. We made our petals with fingerprints. Easy and satisfying! Those are the best kind of crafts. Granted, this can be a tad messy. We started with the outer layer of petals, and we turned the paper around to make it easier to put on the thumbprints. And then we found it was best to stand up to really get into those thumbprints. Look at all those fun petals! For a lot more Z activities, printables, reading literacy activities, flash cards and a Letter Z Matching Game, head over to our teacher store. 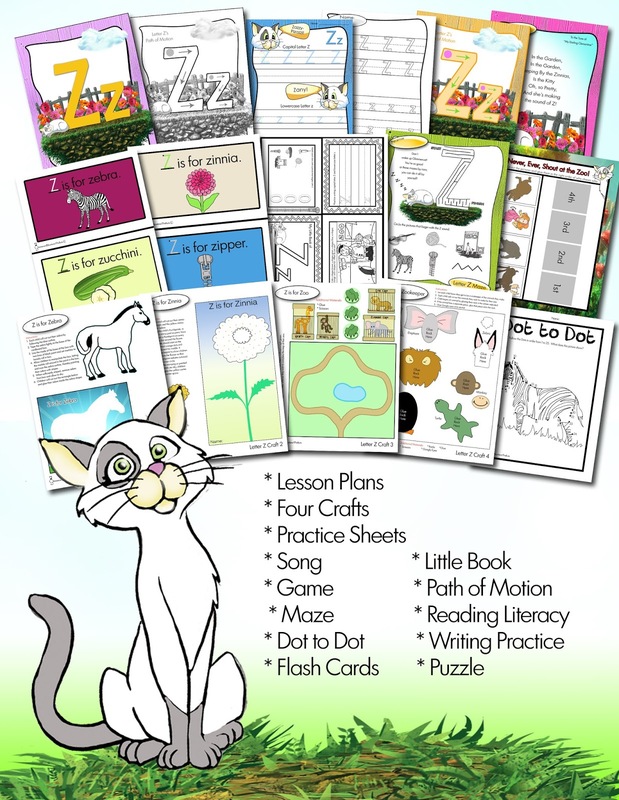 And here's the full list of our Glimmercat Letter of the Week packets!